Time for a new Pavers Kit. This one I’m calling Autumn. 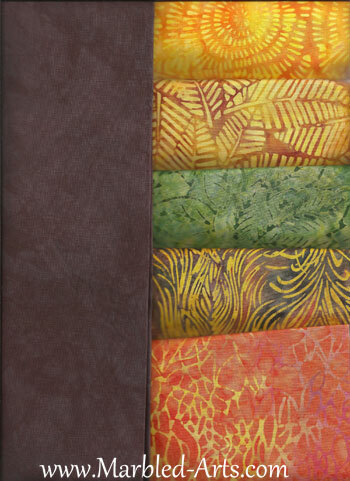 Rich gorgeous Batiks in beautiful Autumn colors, all set in a stunning Hand Dyed Dark Chocolate Brown. Color that make me dream of going for long walks in the Forest. Miss Molly, want to go for a truck ride? You can almost get a whiff of the forest. Finished top, no time yet for quilting. You will find the kit with or without the pattern on my web site. 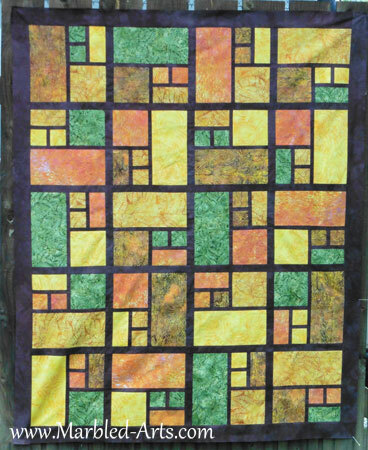 This entry was posted in Current Pattern Samples and tagged Beautiful Batiks, Hand Dyed Fabric, Pavers Kit by Suzi. Bookmark the permalink. 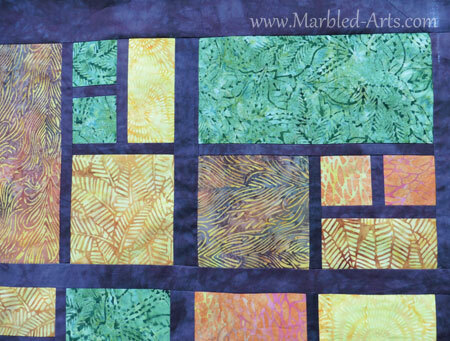 Marbled Arts creates luscious Hand Marbled Fabrics and more. We love to create unique, handmade fabrics. We hand dye, hand marble, snow dye and stencil to name a few. Then we turn it into wonderful Quilts and Wearable Art. We located in the beautiful Pacific Northwest.